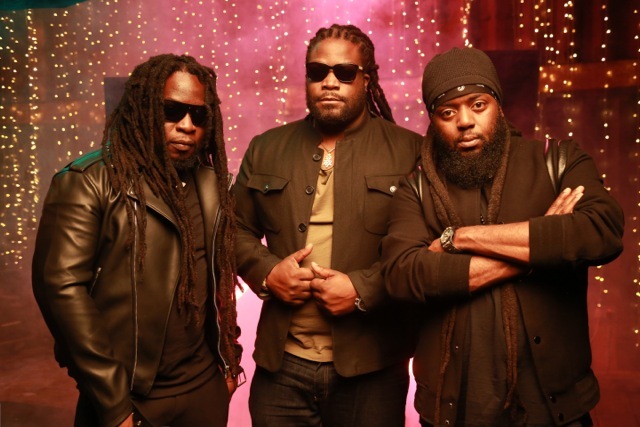 The GRAMMY-Award winning reggae band Morgan Heritage, from New York is riding high on their critically acclaimed album Avrakedabra, “…the reggae album that’s about to make history” says Huffington Post. 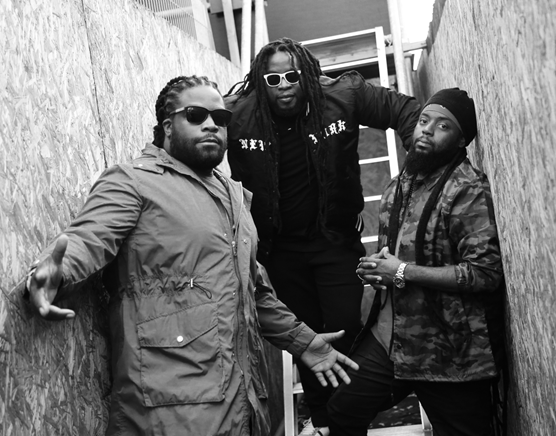 In 2016​, the group won a GRAMMY for “Best Reggae Album” as producer and artist for Strictly Roots. 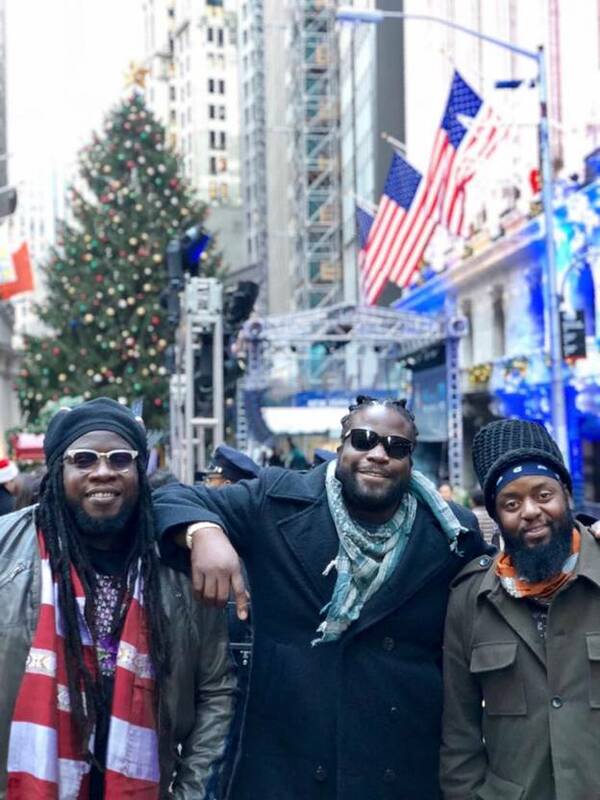 The culture-driven band, who takes pride in staying true to authentic reggae, recorded Avrakedabra across four different continents in their mission to take reggae music to the four corners of the earth. The album debuted at the top of the iTunes Reggae chart in 8 different countries. 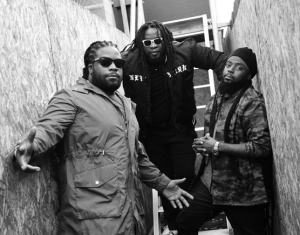 Its highlights include multi-GRAMMY winning Ziggy Marley and Stephen Marley, in an alliance of two great musical legacies on “One Family,” and Mr. Talkbox, and the famed computerized voice from Bruno Mars’ 24K Magic on “Want Some More”. 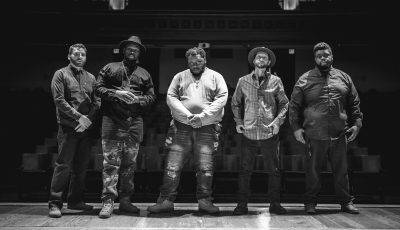 Although the Brooklyn born group’s DNA is from Jamaican origins, they’ve managed to infuse the sounds of Pop, Rock, Country, R&B and Hip-Hop into their eclectic mix, which they call Rockaz. 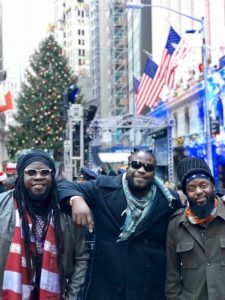 The band recently made history by bringing reggae to Wall Street, as headliner of the NYSE Tree Lighting ceremony, where they also reported for Time Out NY with a social media takeover. Thanks for your time for this All Access interview! Where does this interview you two today? Is there music playing in the background? What is it? What is one song that you are all loving right now? What is a song that you disagree about loving right now? It’s out pleasure to join you today. We’re coming to you live from Nashville, TN where we’ll be performing at our MusiCares event at the Acme Feed & Seed. Right now we’re listening to Pineapple Wine from our new album Avrakedabra. We all have our own musical tastes and don’t really disagree about music very much. At home growing up as kids we all gravitated to different instruments and aspects to being a performer. Our father Denroy Morgan saw the talent in us and formed the group. Very similar to the Jackson 5 story. The name Morgan is our family name and our dad came up with adding the Heritage. We all loved it and felt proud to represent our family and heritage. 2017 was different in the sense that in we dropped a new album on our label CTBC Music Group and the marketing approach for Avrakedabra this year was very different than Strictly Roots in 2015. Thank god the year is ending out with the same results with us getting a GRAMMY nomination for Best Reggae Album. How excited were you guys to be performing at the New York Stock Exchange Tree Lighting? VERY EXCITED!!! As native New Yorkers, it’s an honor to perform at this historic event. What was it like winning a Grammy in 2016 for Best Reggae Album? Were you all completely shocked? Did you have a speech prepared? Winning our first GRAMMY was surreal. You work hard creating your music and you don’t do so expecting awards, but to receive the highest honor in music is truly a special experience. We didn’t prepare a speech because we didn’t expect to win. A nomination after 20 years of putting out some of the best music in Reggae every year was gratifying enough for us and we were truly shocked, overjoyed and humbled at the same time. 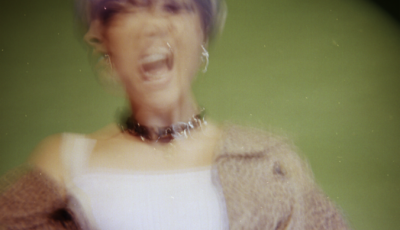 Can you talk about what it was like creating your latest album, “Avrakedabra”? Were there any unexpected challenges in the recording studio? We created Avrakedabra over a 2 year period after we released Strictly Roots. The biggest challenge was deciding which song was going to go on the album. 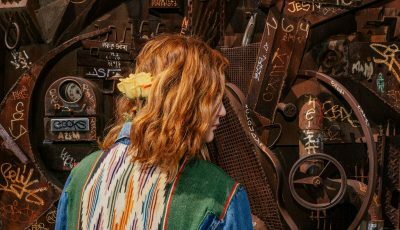 Recording this album across 4 continents made it very difficult because we captured so many different sounds, energy and vibes during the creation process. It was just awesome! What was it like working with all the musicians on this collection? Can you recall one or two of your favorite recording moments with these talented people? The musicians were magical because they all contribute to make this album special. Our favorite session took place in Reunion Island in the Indian Ocean recording One Family while on tour in our hotel room and then recording the live drums in Paris on our way home. All the music was recorded in Reunion except for the live drums. I would love to know more about how you have managed to combine your Jamaican roots with pop, rock, country, r&b and hip hop? How did you come up with the term “Rockaz”? In 2001 we did the Warped Tour and had to pull on all of our musical experience to appeal to the Punk Rock crowd and that gave birth to what we call Rockaz. Reggae music with an edge! Our musical influences growing up between New York and Massachusetts made it easy for us to integrate these different genres into our sound. To be honest, we are happy on stage because our problems don’t exist while we’re up there. In the studio we create magic! Needless to say, that is a reward in itself. So we basically have an appreciation for every aspect of our life. After the NYSE event we head to Kauai, HI to take part in the ICBC Cannabis Conference. We are launching Golden powered by Jardin which is a Hemp Infused Alkaline Water. Jardin Cannabis is a dispensary in Las Vegas, Nevada. We’ll also be performing in Honolulu, HI next weekend and then we close out the year with Cape Verde on New Years Eve. With Avrakedabra we intentionally delivered a universal message that could uplift the minds of humanity and at the same time give people an escape from the troubles of the world with feel good anthems like Reggae Night. Morgan Heritage is a world renowned band that allows us to travel the world and see things the average person doesn’t see in a lifetime. That experience is resonated in our music and gives us the ability to share these experiences with our fans around the globe. Who are some of your favorite artists right now? Who would you love to work with in the future? What would be a dream collaboration for this group? Some of our favorites right now are Rihanna, Kendrick Lamar, Little Big Town, India Arie, Ed Sheeran, Coldplay and Steel Pulse. We would love to work with all those artist that we’re listened to right now. A dream collaboration would be John Legend, Stevie Wonder and Kendrick Lamar. To understand that love is the answer to everything. To absolutely everything!! If we would have more love in your hearts as a species, we would not commit these atrocities we see happening around the globe. Love is the answer to all!